Armoires, well built in solid wood are hard to find. Select your Armoires here today. 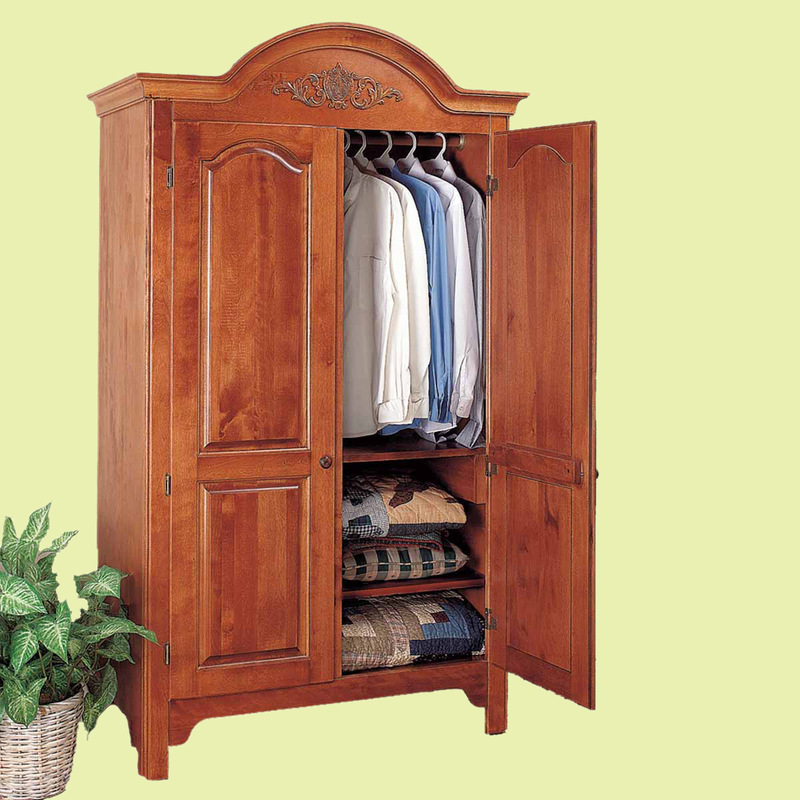 Armoires: Our solid birch armoire will provide an elegant and incredibly useful centerpiece for your room. It's a closet, with shelves built in, wherever you need it! Features 3 shelves and a clothes hanger rod. This unit is versatile enough to work anywhere and is built to last a lifetime! 74 1/2 in. high x 43 in. wide x 21 1/2 in. deep.